Hi friends! 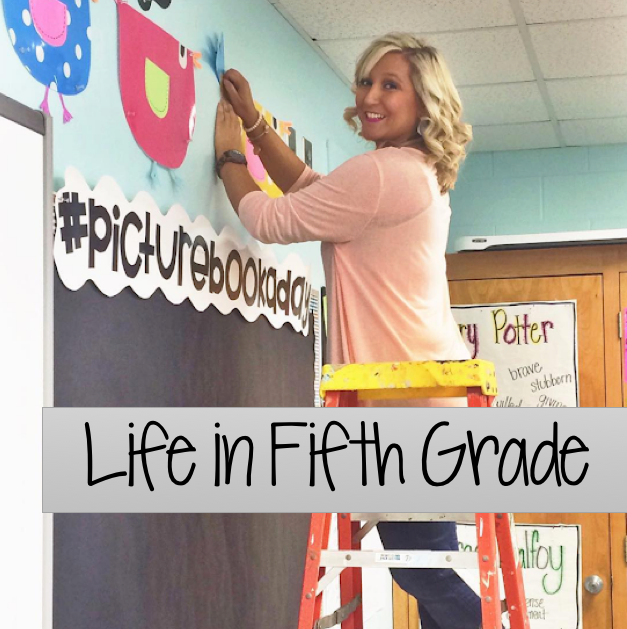 This post is primarily for upper grades, but I wanted to share with my first grade friends too. It *could* be modified to fit the needs of lower grades, but it went really well in my classroom today so I thought someone might be able to use the idea. I feel like one of my weakness is definitely questioning effectively in the classroom. We've had many trainings on this subject, but year after year I struggle with it. I feel like I always ask "right there" questions, but I need to get my students to start digging deeper. 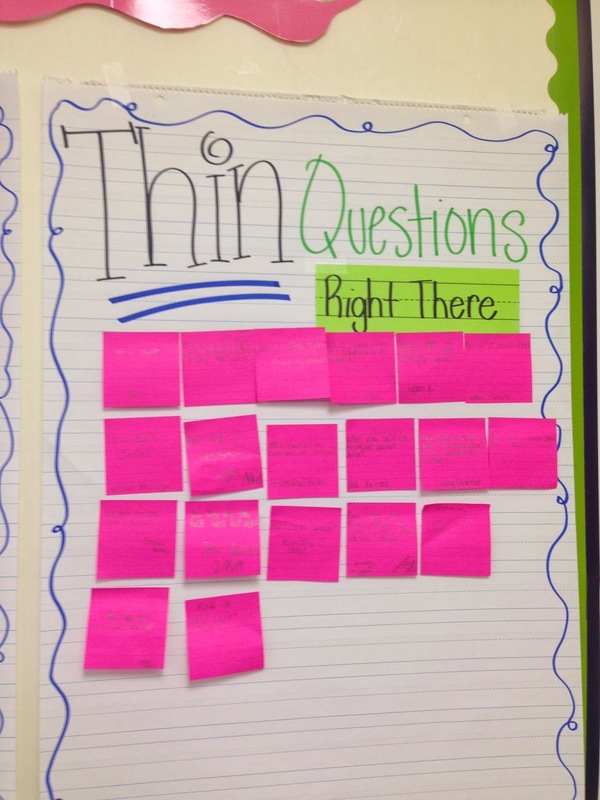 I decided to inform my kids about the different types of questioning so that they could be aware of it. 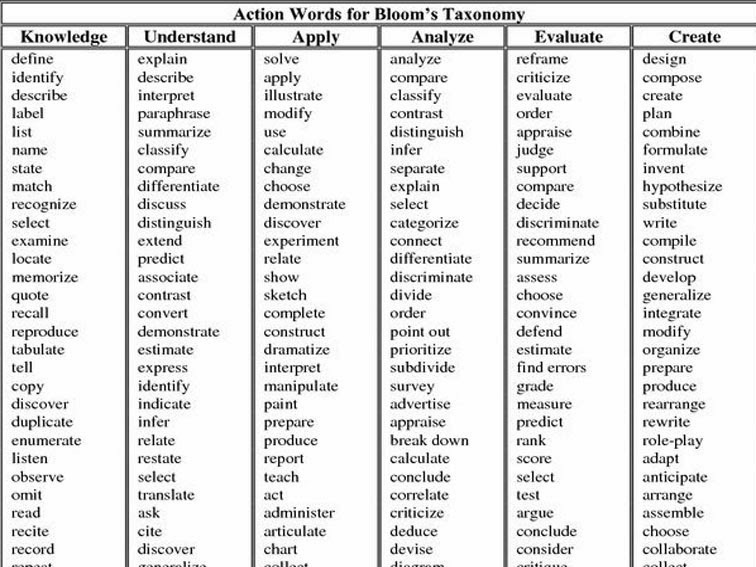 I went to good ole Google to find a handout of the Bloom's Taxonomy verbs. Here's the one I use from Teach Thought. We discussed (and discussed...they had lots of questions!) 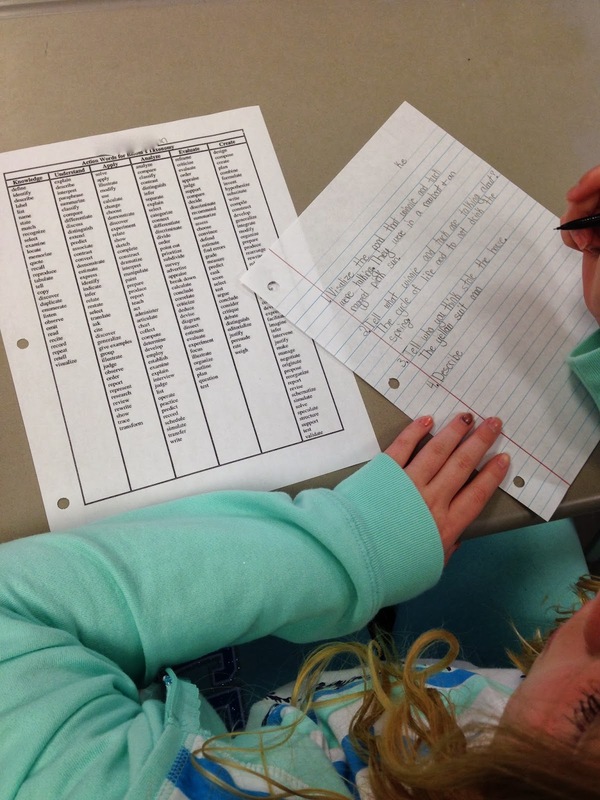 the verbs under each category and talked about reasons why some verbs required more thinking, preparation, and info. 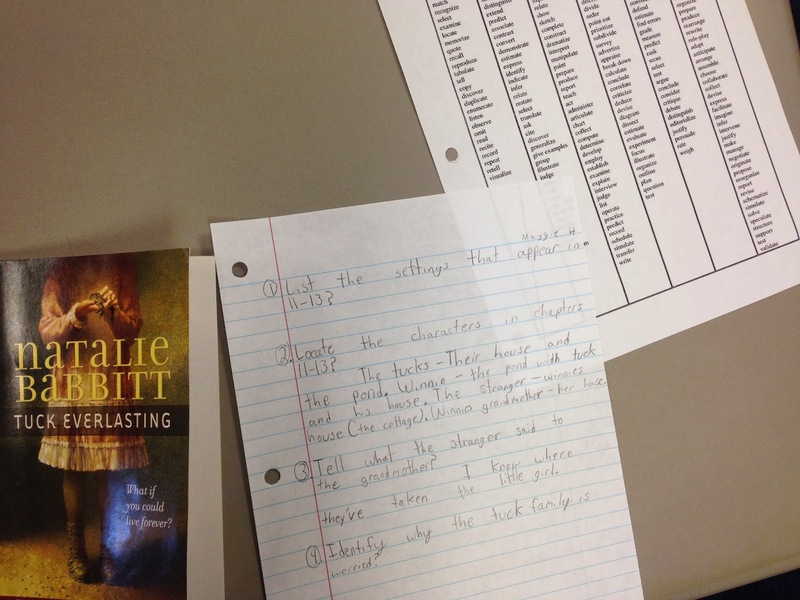 We used this to help us create and develop example questions about the chapters that we read today in Tuck Everlasting. 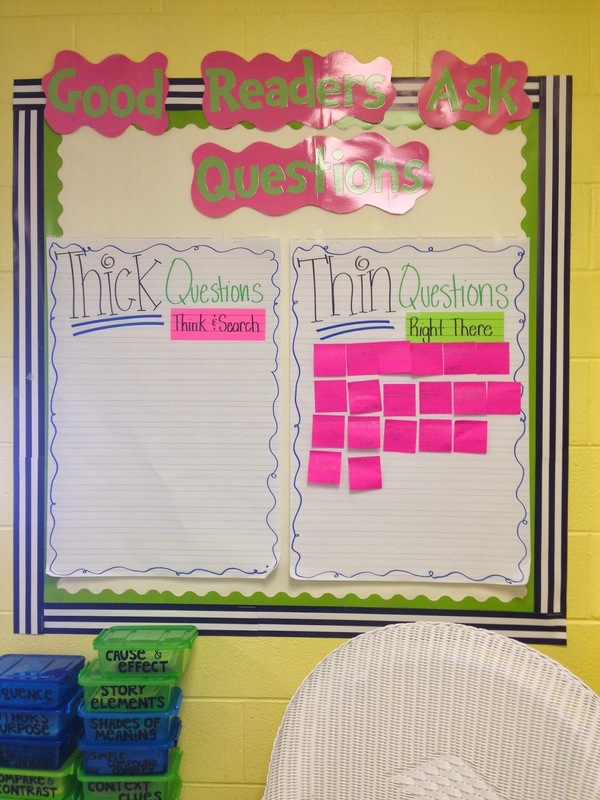 This went perfectly with our weekly comprehension strategy: questioning. 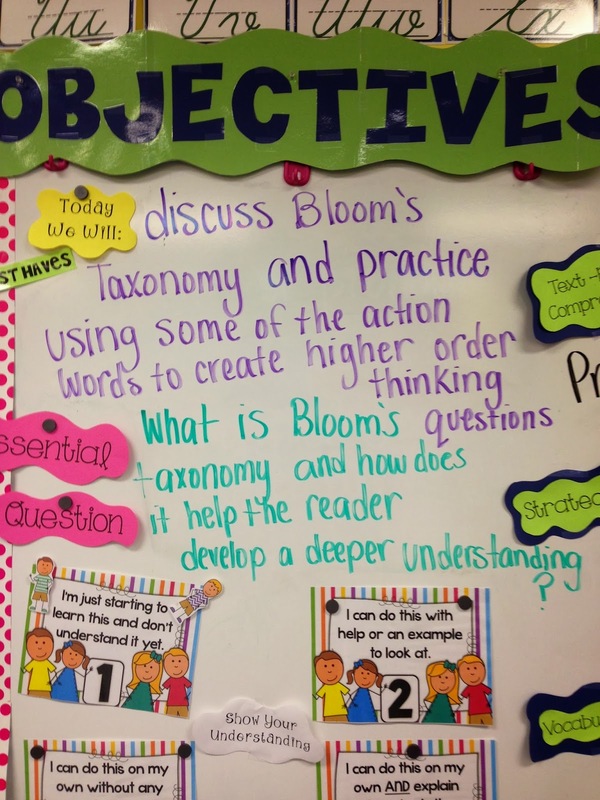 My kids recite both the objective and essential question at the beginning of each lesson. I've started making them take a sticky note and answering the essential question at the end of the lesson. This way, I can see who is still struggling with whatever I'm teaching. It's working really well! 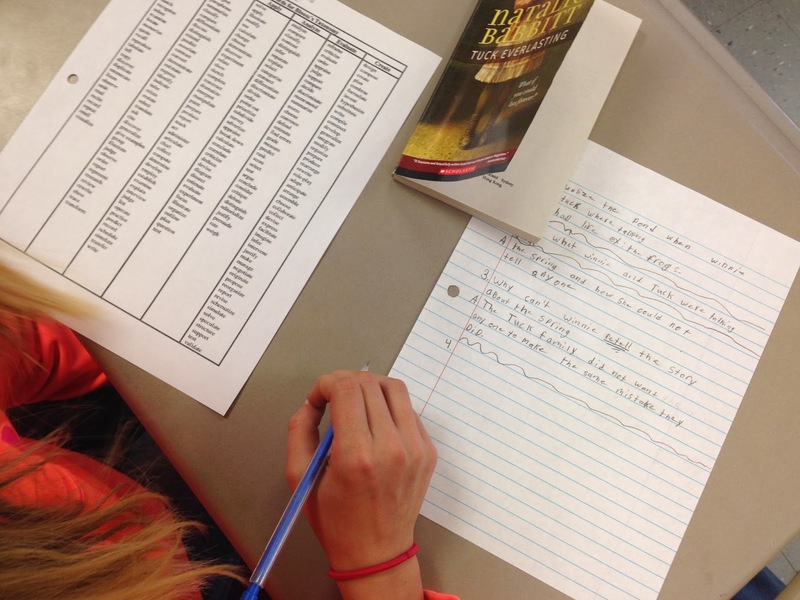 We read Chapters 11-13 today and only worked with the first level in Bloom's Taxonomy: Knowledge. First, as a group, we created 1-2 questions using a verb from level 1. After I felt that they had a firm grasp on how to do this, we worked with a partner. Then we did one on our own. You know- I do, we do, y'all do, you do! 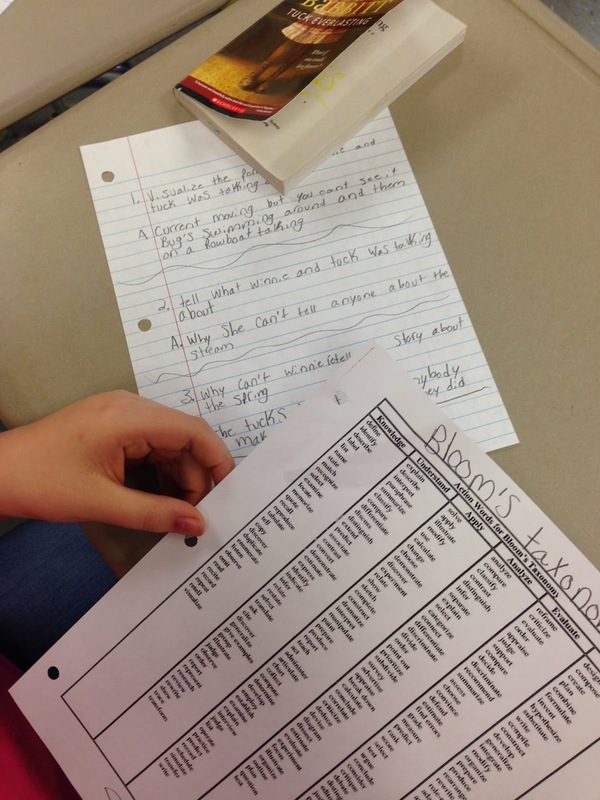 They did a great job and this led into the discussion of Thick questions and Thin questions.